The eGo AIO device is an All In One unit from Joyetech and features a leak resistant cup design, along with a childproof push down top cap. 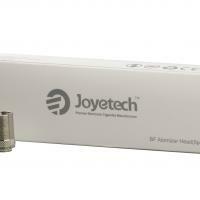 The device comes fitted with a 1.5ohm Clapton BF Atomizer Head, which is great for MTL vaping. It has a 1500mAh built-in battery with a micro USB charging port which enables you to use the device whilst charging. The unit has a 2ml tank capacity and you even have the ability to change the LED colour inside the unit with 8 to choose from. 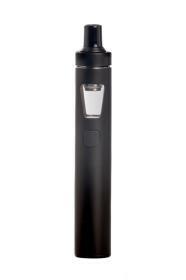 Ideal for everyone from the first time vaper to the advanced user looking for a sleek, portable device.